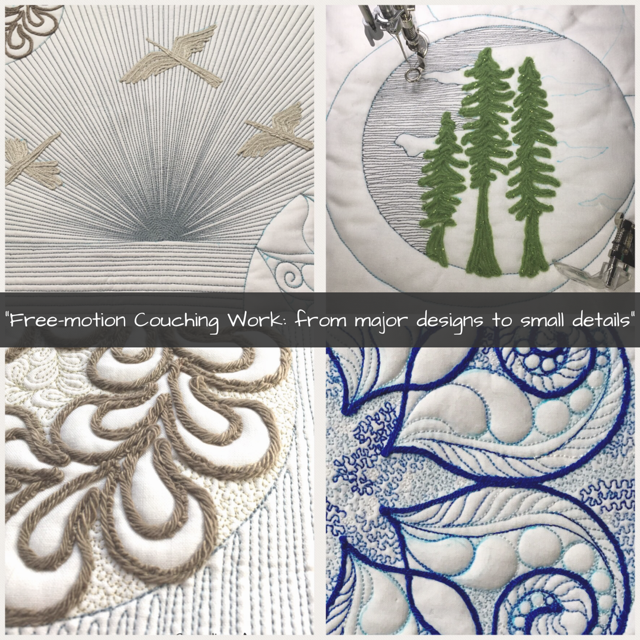 Discover the secrets and tips of free-motion couching work and learn how to use for major quilt designs to small details with different types and thicknesses of yarns and fibers. Couching is a very trendy quilting technique at the moment and allows the creation of unique designs, adding very interesting layers and textures to the quilt. Students are encouraged to bring quilt tops for design discussion.